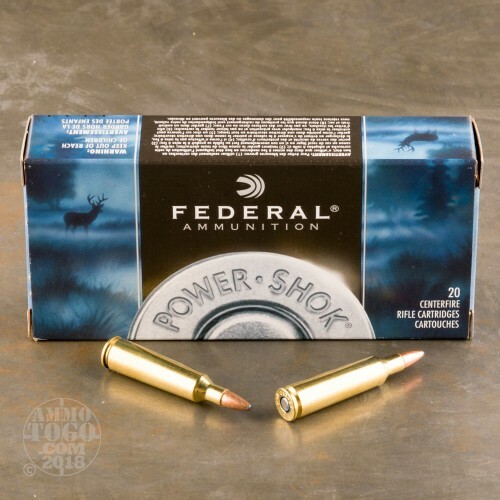 Are you looking for a cartridge that’ll let you let you pop coyote and other varmints all day long, but which will also save your much needed money for other non-coyote related endeavors? 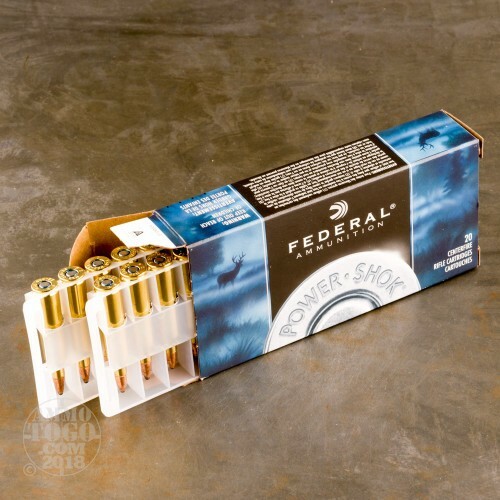 Then Federal has got you squarely covered with this 22-250 round from their Power-Shok line of ammunition. 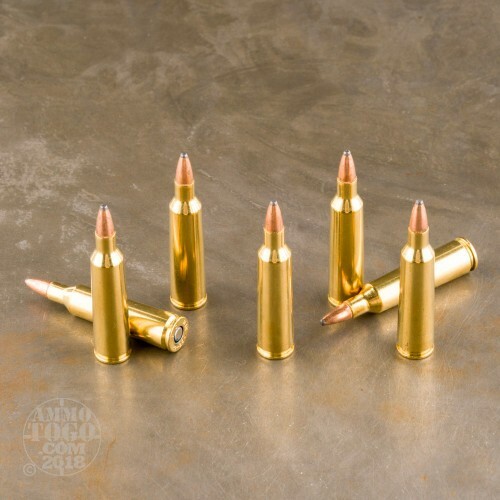 Its 55 grain soft point projectile will widen substantially as it plows into a soft target, and the bullet’s evenly layered jacket enhances its accuracy, significantly lessens bore fouling, and controls the rate of expansion for optimal terminal performance. Power-Shok ammunition is affordably priced, but investing in it is not an exercise in compromising quality. This cartridge’s brass casing is made to exact specifications, and behaves just how you would like it to in any platform of firearm. 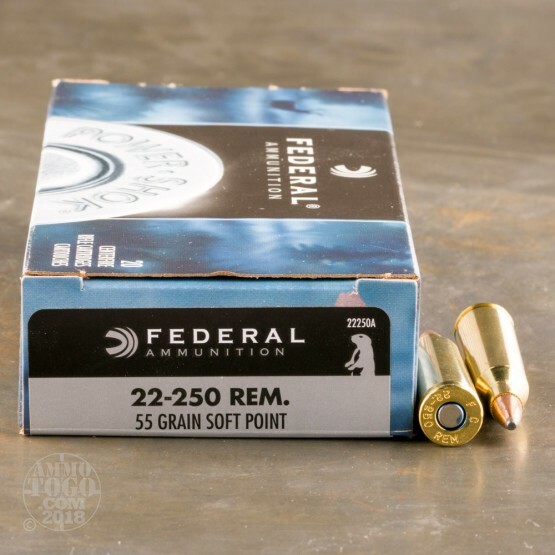 Federal’s own primer is the one to trust in when you get a varmint in your sights, and their propellant burns clean to reduce each shot’s impact on your rifle.